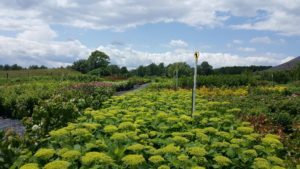 Please join owner Schuyler Watson for a tour of his wholesale container nursery and learn more about what River Walk has to offer as well as their plans for the future. The view is pretty good too! Refreshments will be served. There is no fee for this last “summer” twilight. Please email Kristina in the office if you would like to attend: kristina@greenworksvermont.org.